It has been way too long since I have given this blog any attention. It's just been a really busy season of life and my attention has been needed elsewhere. We have worked really hard this year and are REALLY close to wrapping up our 2015-2016 homeschool year. Both boys each have a few lessons in one subject that we need to finish up. We are all pretty excited to be done with a full days of school. 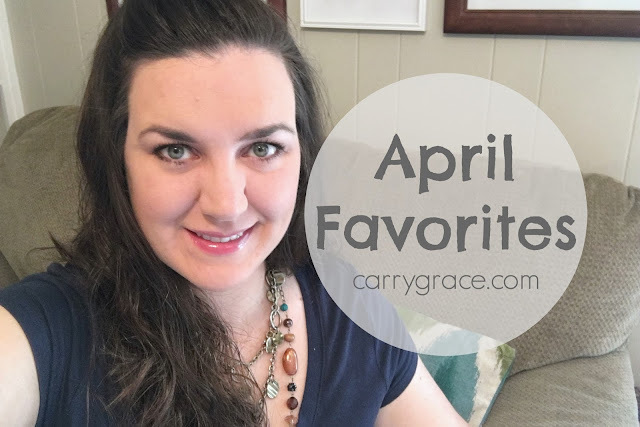 I share my monthly favorites each month (okay, so I skipped March) on my YouTube channel and thought I would see how it goes sharing them here as well. I won't go into detail here, but you can view all the items here and then I will list links below for all of the items that I can find online.